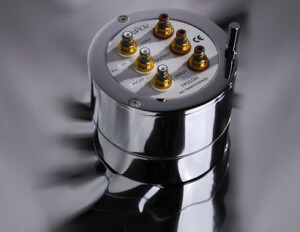 Ypsilon Electronics was formed in 1995. Founded by two sound engineers with a vast experience in the field of live music reproduction. It was not only their experience with live music and live concerts that provided us with the necessary conditions to gain knowledge, it was also Ypsilon’s technical background in electronics engineering, that contributed in formatting the concept of how a high end audio device should perform as well as how reliable it should be. It was Ypsilon’s love and dedication to natural live music that drove them to transform their passion into technology. A technology that combines both traditional and modern ground breaking designs and techniques. At Ypsilon Electronics they strive to reproduce music in such a way that one can not tell the difference from true live music. Their achievement is the creation of unique products that communicate to the listener the true meaning of music…EMOTION! Exclusively for your listening pleasure at MKoM, Toronto. November 24, 2013 in Featured Products.